Provide an environment and the necessary coaching to build a strong community and help people improve their lives. 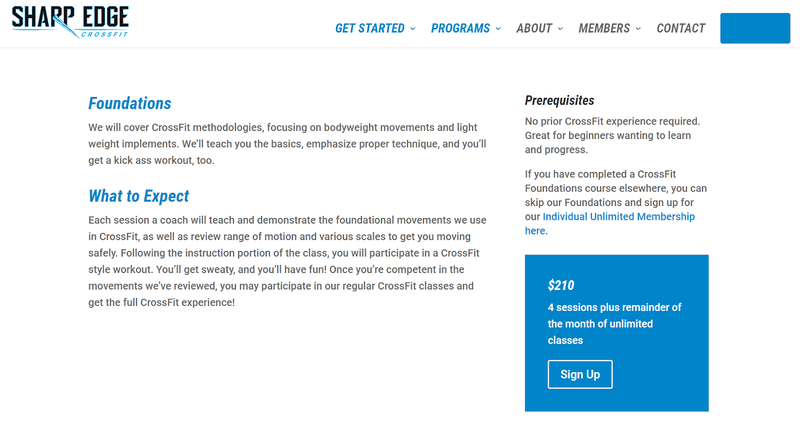 This post will answer all of these CrossFit web design questions and more. Prepare to become a web design expert! I think we can all agree that your gym’s website will serve the primary purpose of attracting new members and providing value to new members, correct? Your website is an excellent opportunity to achieve these goals. This goal is deceivingly simple. As the owner or manager of your gym, you are tasked with understanding what sets your CrossFit box apart from the rest, and why someone should join. That’s great, but many other CrossFit boxes have that too! It’s obvious that most CrossFit Affiliate gyms share similar values, so there is bound to be some overlap. 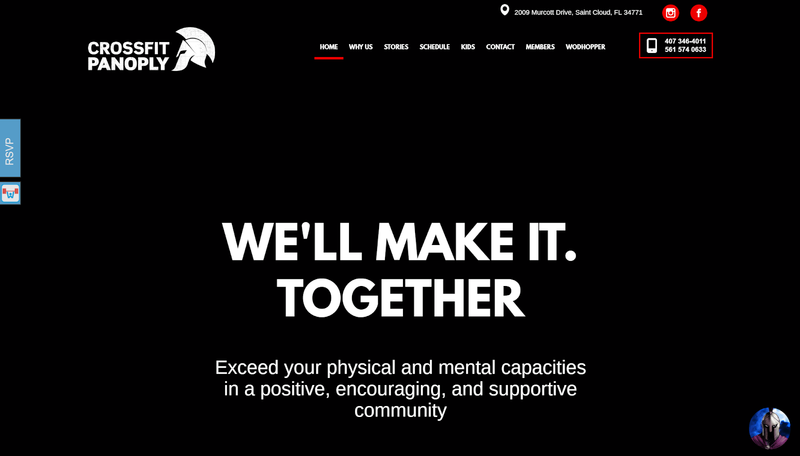 Notice how the first headline isn’t “We have a strong community with dedicated coaches,” but it implies all of those things in a much more powerful way. Make sure you are setting your gym apart with the way you present it online. A location and a price are not good enough to entice prospective members to sign up for a class. With that simple offer, I know from the second I land on the site that a deal is available to me if I choose to cash in on it. There’s nothing worse than a website that does a good job presenting a brand but makes it excessively difficult for users to understand basic things like how to get there and what is needed to sign up. We live in an age when many would prefer to find all of their information online rather than picking up the phone to ask. Having your phone number readily available on your website is a good idea, but it doesn’t replace the need for a useful website that is easy to navigate. Notice how helpful the “What to Expect” and “Prerequisites” sections are for users who are thinking about getting started. In addition, the class description and pricing take most other questions off the table. In some industries, evidence of success is shown through case studies and statistics. Thankfully, in CrossFit, it’s easy to show evidence of success through high quality images and video. Have plenty of images on your website that showcase your CrossFit box, from the facility to the quality of the equipment. Have photos or videos accessible of your CrossFit athletes working directly with coaches or participating in team events or competitions. In the next section, we’ll go over all of the best ways to achieve these goals. Provide your athletes with feature-rich apps. Schedule a demo to learn the ins and outs of WODHOPPER’s gym management software in under 30 minutes. Seriously. Now that we’ve got our main goals in mind, let’s put them into perspective by learning about what matters today in the world of web design. First and foremost, Responsive Web Design is a must. A Responsive website adjusts to the pixel width of whichever device upon which it is viewed, maintaining the same quality of user experience on every device. With Responsive Design—whether your website is being viewed on a computer, a tablet or a smartphone—your website maintains maximum usability. Responsive Websites and Mobile-Friendly Websites are not the same. Mobile-Friendly websites work on mobile devices, but can be lacking when it comes to user experience. Ever had to pinch to zoom in and out on a mobile website? That may happen to your users if you choose to forego responsive design. CrossFitters are a busy, on-the-go bunch. There’s a solid chance that most potential new members who look you up or come across your website will be doing so on a mobile device. Make sure you’re ready for it! You run a great business and are extremely passionate about what you do—and that causes you to want to write paragraphs upon paragraphs of information on your website, and spread that information onto tons of pages. The site’s main purpose is to build credibility and to convert users into leads. Present information on your site in a clear and concise manner, ensuring that all of the information a user may need is readily available. The main goal should be for a user to never be more than two clicks away from being able to sign up. Earlier, we talked about how important it is for CrossFit gym websites to have a unique offer. In the world of web design, this offer is known as a Call To Action (CTA). 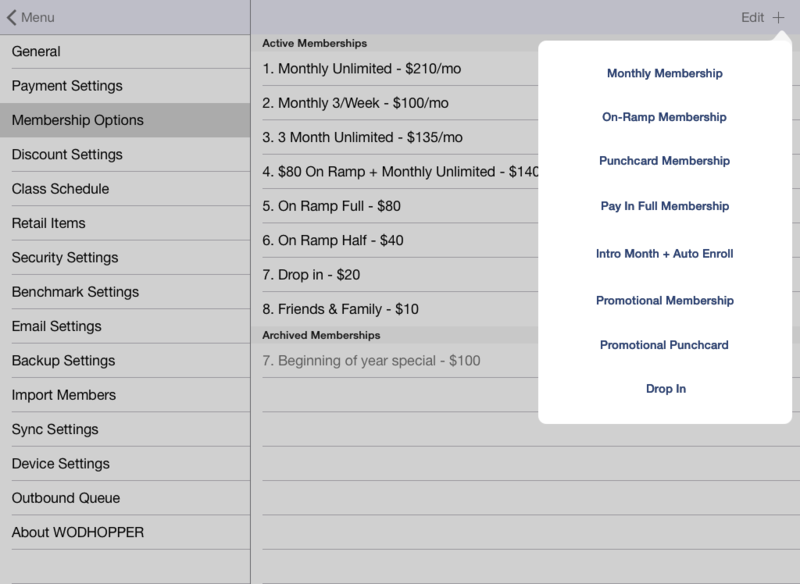 No matter what, you should always be thinking about how to increase your points of contact with a potential member, whether it’s having them sign up right away, or having them on an email list that helps your gym stay top of mind. There’s no reason for your website to exist if it never gets found. That’s why Search Engine Optimization is extremely important for any CrossFit website. If someone searches Google for “CrossFit gym near me,” and you don’t come up, that’s a massive missed opportunity, and a membership that will likely go elsewhere. Include search terms linked to both purchasing and learning more about the services your gym provides (but don’t stuff your site with keywords unnecessarily). Blogs are essential on most websites nowadays. Don’t miss out on the opportunity to reinforce your brand and expertise through a great blog. Nobody likes a website that looks like a research paper. Be sure to reinforce the message and value proposition of your gym’s website with images and videos that boost credibility. A website without images or graphics falls flat, and will often have a user wondering whether the business is legitimate. Earlier, we discussed the importance of providing clarity, and using your website to answer any possible question a user may have. 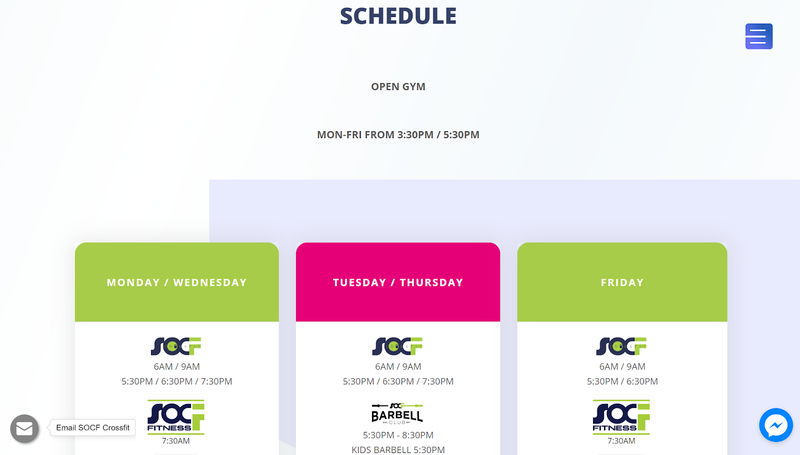 An FAQ section is a great way to achieve this, because it serves as a central hub that helps users gain a greater level of understanding about how your gym operates and whether or not it will be a good fit for them. If you have a ton of information to provide, it’s better to compile it in one easily accessible place rather than plastering it all over your site and bogging down your more conversion-focused pages. 5 CrossFit Website Options: Who Should Build My Site and On Which Platform? 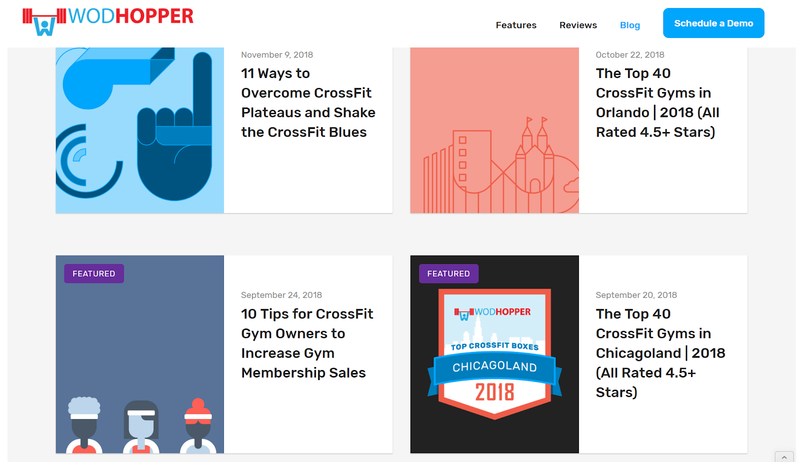 So far, we’ve learned what every CrossFit gym website needs in order to succeed, as well as what makes websites successful in today’s digital landscape. Now it’s time to build the darn thing. There are so many options and design platforms out there. It’s hard to know where to start! Let’s walk through the main options at your disposal as a CrossFit gym owner. By the end, you will be able to make an informed decision on which option is the best fit for you. It goes without saying that hiring a professional web design firm or freelance designer will result in the highest quality and most customized website. Your business goals are combined with their expertise in digital marketing, web design and SEO to produce a website that looks good, works well, and converts. With that said, a full-blown custom web design project may not be in the cards for a gym that’s just getting off the ground without a sizeable marketing budget. Freelance web designers and web design firms will often offer ongoing maintenance as well as hosting. No, WYSIWYG is not a character from a science fiction novel, it simply stands for “What You See Is What You Get”—meaning a site built using a WYSIWYG platform looks the same while you’re designing and editing it as it does in it’s live form. You can purchase or use free templates provided by the platform to build your website (we will focus on this in #3 below). Designing a custom website within a WYSIWYG platform takes a certain level of experience, but doesn’t typically require a great deal of coding knowledge. It’s a great option for someone who prefers not to use a template but doesn’t have the budget to hire a professional designer. Most WYSIWYG platforms provide built in hosting for a monthly fee. A Content Management System is a way of managing the creation and modification of digital content within a website. A website built within a CMS is often more robust, flexible and scalable than one built within a WYSIWYG platform, in addition to being more organized. Depending on where you build your CMS site, you may have the option of hosting directly through the platform, or to export the website source code and host anywhere you prefer. 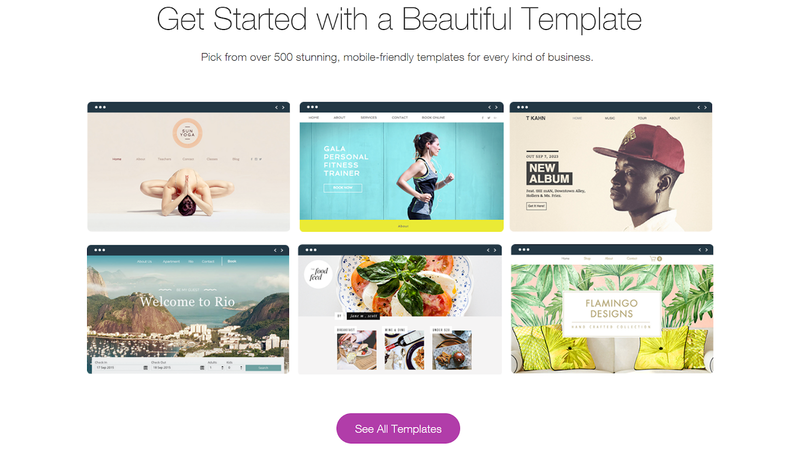 Most website building platforms and WYSIWYG platforms provide templates that you can purchase or use for free. You can customize these templates to an extent with text and images that are relevant to your gym. By nature of the fact that it is not custom, a template is the least flexible option of the bunch, but it also takes the lowest learning curve to build. 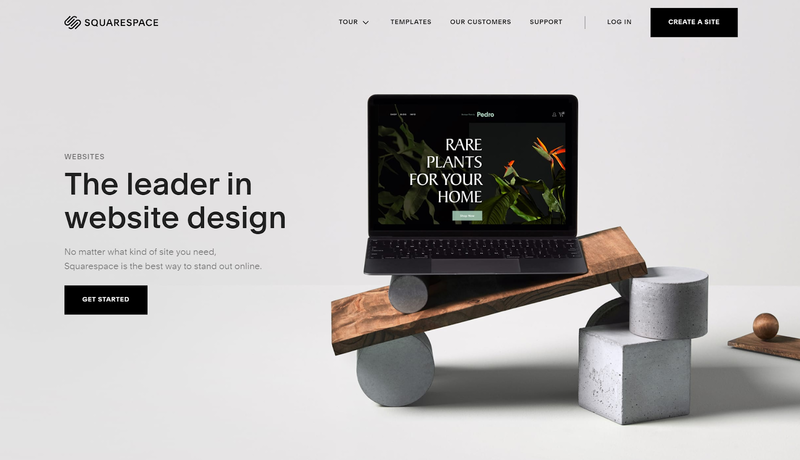 If you need to get a site up and running fast, and you’re not too concerned at the moment about using it as a marketing and sales tool for your business, a template may be the best way to go. You will almost always need to purchase hosting from the same platform where you purchased and customized your template. 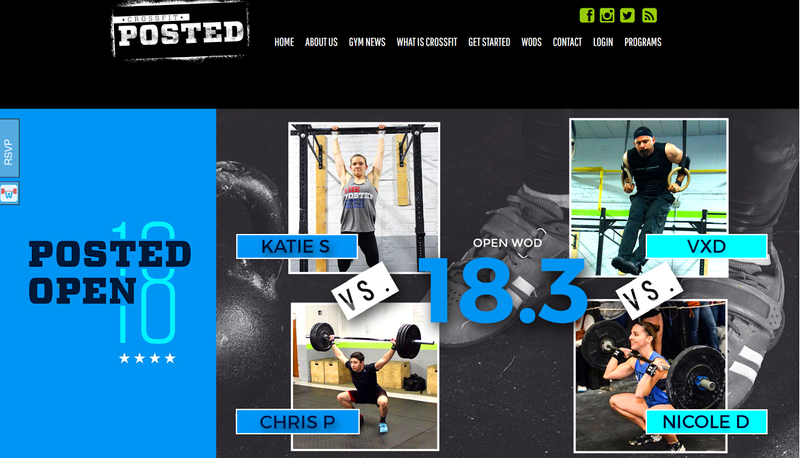 There are quite a few companies out there that specialize in building websites for CrossFit gyms. For the most part, these companies understand that the operating income for CrossFit gyms just getting off the ground can be slim—so many have monthly fees with little to no up-front costs. 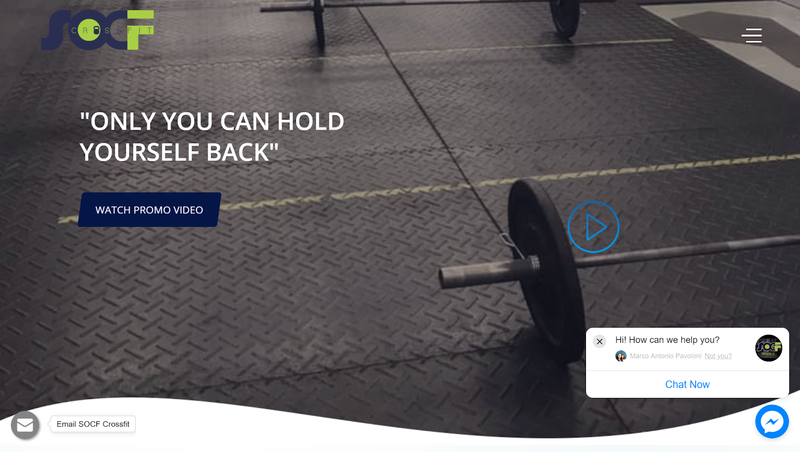 Using a CrossFit-specific website builder can be great because the company will clearly understand the nature of the business and create a website that aligns with your priorities. The companies will also often help after the site is launched, offering hosting as well as ongoing marketing services. However, many CrossFit-specific website builders use templates that make many of their sites similar. This option is not for the faint of heart. In fact, it’s not for most—and realistically, if you’re a business owner seeking web design advice, you’re likely not an experienced coder. 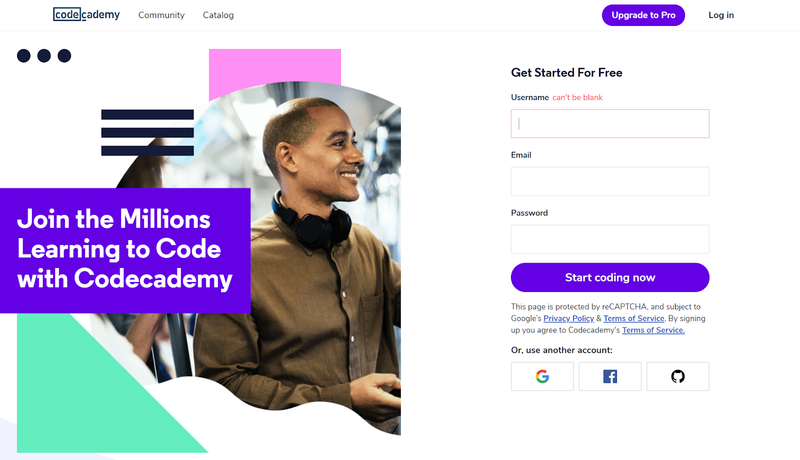 If you’re interested in learning how to code, check out a freemium resource like Codecademy. Quality and Effectiveness: It depends on your level of expertise! What Are Your Digital Marketing Priorities for your CrossFit Box? Ultimately, the decision of what type of website builder or company to use will depend on your priorities and your budget. Do you plan on attracting most of your new members through your website? If the answer is yes, you should consider investing more in the site up front and going custom. If you have many other traditional marketing, social media and referral-based campaigns in the works, your website is still important—but you may be able to get away with a lower cost build. But regardless of your business goals, budget and priorities, your CrossFit gym website is essential to the success, growth and survival of the business. Make sure you treat it as such! Manage your business from anywhere with our iPad App. We want to help you manage and grow your gym in every aspect. Join our positive and powerful community and gain the knowledge, support, and passion of our team. We’ll work hard to make your gym run better, faster, and more efficiently.